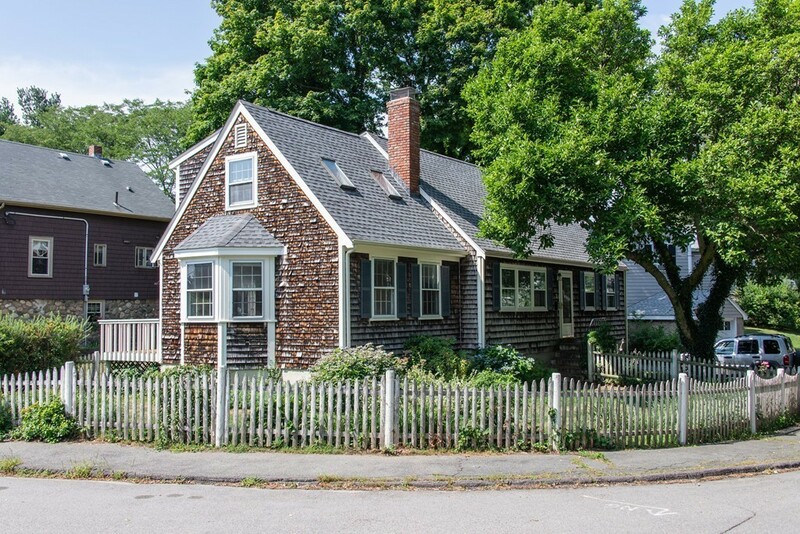 Live the true Marblehead lifestyle in this charming 4bedroom/2bath expanded cape in a water-oriented residential neighborhood. As members of the Ocean Park Association you will have access to the beach and dock only a block away. This solidly built home has hardwood floors and extra closets throughout. The first floor has an open plan in the living/dining/family rooms with fireplace. There are 2 bedrooms on each floor. The master bedroom has an additional loft sitting room that overlooks the first floor living room creating an appealing modern effect and lots of light. Many updates in the home: heating, roof, electrical panel, storm windows. There is a deck off the dining room and the fenced yard has lots of perennials. The one car EE garage is under the home, and there are 4 other parking spots. Ocean Park info in MLS docs.